Most web chat (or instant messaging / IM) sessions act by offering a live assistance option to the process of web browsing. Like email, it has been around for many years, but only very recently has started to grow volumes to the extent where it has become a mainstream channel. Web chat offers an organization a chance to cut costs through running more than one chat session at a time with customers, using the time that a customer spends reading and replying to an agent’s response to deal with other customers concurrently. Some solution providers have stated that an agent can deal with 4 or more web chat sessions at the same time, but whether this is a sustainable model for the agent or provides an acceptable quality of service for the customer is quite another question (and one that is answered later). 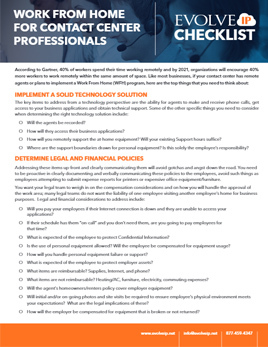 Agents can respond to frequently-asked questions by using ‘hot-keys’, which provide templatized answers and can escalate queries if required, but current levels of automation are low. Web chat has often been used as a ‘point of crisis’ channel, for example, to convert an online shopping basket into a sale by providing timely service, or if a browser is paused on a webpage too long, perhaps as they can’t find what they are looking for. In such cases, there are two main benefits to the business of providing webchat: revenue maximization, and the avoidance of unnecessary calls. Web chat can also act as a safety net for the customer if an online self-service attempt fails. An analogy can be made with voice self-service, where a failed session is often ended with the customer ‘zeroing- out’ – pressing zero to get in touch with an agent. Failed web self-service sessions may end with a phone call being made, but web chat can avoid a number of these, which is a cost saving for the business, and better for the customer as well. Many customers – and not just the younger generation – are often accomplished Instant Messengers, and will be keen to use the web chat option with the businesses they work with. However, web chat is in reality most useful for general information and sales purposes, as many users aren’t taken through security processes, meaning the agent can’t help with specific account queries; the same usually applying to email. Putting some form of a trusted biometric device on a PC or mobile device (such as a thumbprint reader) which then assures the businesses’ system of the user’s identity could possibly overcome this issue. Alternatively, and more simply, there doesn’t seem to be any reason why the web chat agent can’t ask the standard security questions to the customer via chat, but this is still rarely done today, perhaps as some customers are wary of giving out personal details online. One form of value-added web chat functionality is a Virtual Agent, which may appear to a browsing website visitor to be a human agent, offering web chat. However, it is an automated piece of software which looks at keywords or natural language and attempts to answer the customer’s request based on these, including sending relevant links, directing them to the correct part of the website or accessing the correct part of the knowledge base. If the virtual agent cannot answer the request successfully, it may then seamlessly route the interaction to a live web chat agent who will take over. It is possible that the browser will not even realize that any switch has been made between automated and live agent, particularly if the web chat application is sophisticated enough to pass the context and the history to the agent, although some businesses believe it is best practice to identify clearly between virtual and real agents. Most virtual agents encourage the visitor to engage with them using natural language, rather than keywords. The virtual agent will parse, analyze and search for the answer which is deemed to be most suitable, returning this to the customer instantly. Many virtual agent applications will allow customers to give all sorts of information in any order, and either work with what it has been given or ask the user for more detail about what they actually meant. Having been unconsciously trained over the years to provide their queries in a way which standard search functionality is more likely to be able to handle (for example, a couple of quite specific keywords), customers must be encouraged and educated to use natural language queries in order for virtual agents to be able to deliver to their full potential. The virtual agent application is different from standard search functionality, ignoring bad punctuation or grammar, and using longer phrases rather than just searching on keywords. Sophisticated applications attempt to look for the actual intent behind the customer’s question, trying to deliver a single correct answer (or at least a relatively small number of possible answers), rather than a list of dozens of potential answers contained in documents which may happen to contain some of the keywords that the customer has used. The virtual agent application may also try to exceed its brief by providing a list of related questions and answers to the original question, as it is well known that one question can lead to another. Solution providers and users train the system to pattern-match the right words or association of words with the correct result: the application, unlike older forms of web search techniques, does not simply guess what the customer wants, or how they will express themselves. Through ‘listening’ to what the customers actually say – perhaps through a mixture of large quantities of audio and text – the initial set-up configuration can achieve a good accuracy rate, which benefits over time as a positive feedback loop is established. Solutions that gather and differentiate customer requests and results from multiple channels, noting the difference between them, have an even better success rate. Virtual agent functionality ’understands’ the context of what the customer is asking, with the result being more akin to that of an empathetic human who also has had access to what the customer has been trying to do. For example, if asked “When can I expect my delivery?”, the context and the required answer will be different depending on whether the customer has placed an order and is enquiring about its status, or has only a hypothetical interest in turnaround times in case they decide to place an order. When the virtual agent application has low confidence that it has returned the correct result, it is able to escalate the customers’ query seamlessly to a live chat agent, who then has access to the self-service session history, enabling a greater chance of a successful resolution without repetition. (It is generally considered a best practice that escalations to real agents are not hidden from customers). The eventual correct response can be fed back to the automated virtual agent (and the knowledge base underlying it), which will make it more likely that future similar requests can be handled successfully through automated agents. Proactive and reactive chat: originally, web chat was reactive, relying upon the browser to initiate a conversation. Businesses then decided to go on the offensive, popping up chat boxes and encouraging customers to start conversations. Some more sophisticated customers are unfazed by this, but overly- insistent use of web chat can put some customers off entirely. 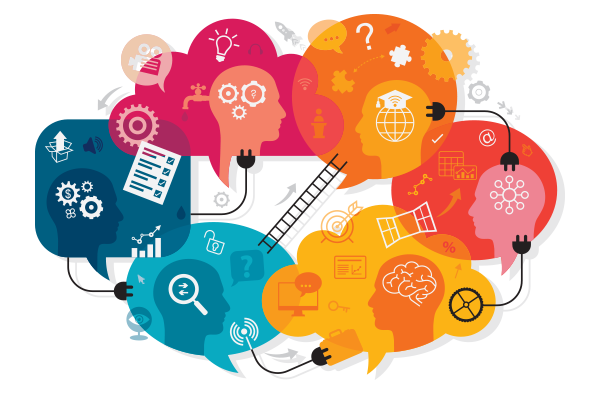 There are various levels of intelligence that can be used to support proactive chat more effectively. If the customer has logged in, it is possible to identify them, and take into account past channel preferences, purchase history and other relevant information in order to personalize the experience, (for example including details of relevant offers to that customer). As an aside, some contact centers report that those experienced in playing online games – are particularly suited to the fast-paced, text-oriented nature of web chat, and some businesses are actively recruiting such people to work as web chat agents. It is also worth commenting that although offshore customer contact has received a mixed press, many of the negative issues surrounding offshore are not applicable to the multimedia channel, such as the possible mutual incomprehensibility of accents. Web chat is experiencing strong growth in its availability in the US, although volumes on average are still only around 5% of all customer/business interactions. There is no reason why the user uptake of web chat will not continue: it works well for customers as providing an immediate response, and with multiple concurrent chat sessions per agent, it can be a lower cost channel than voice for the business to support, although cost differential between phone and web chat are not dramatically different, as so much of the web chat work carried out is still non-automated. 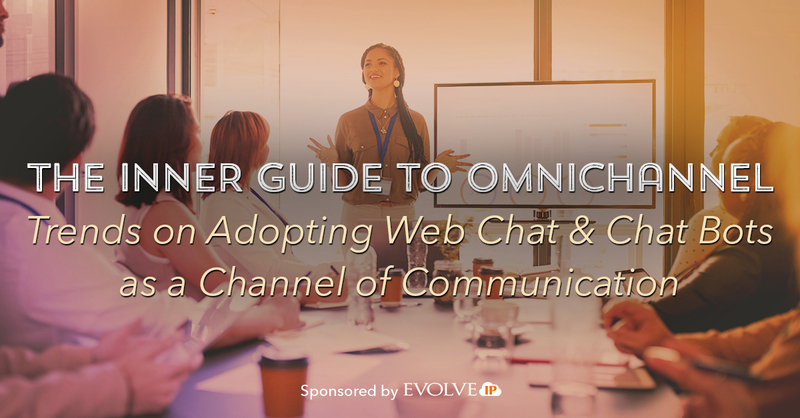 Solution providers report that web chat is currently being trialed by numerous businesses, often at a limited, or departmental level so they can assess the suitability of the channel for a company-wide rollout, and understand what needs to be done to ensure full implementation is a success. Web chat is estimated to cost less than a phone call or email, being perhaps the cheapest form of live customer channel, but the differential is not as significant as might be expected from a channel that can be at least partially-automated, and which offers the opportunity for multiple concurrent sessions. 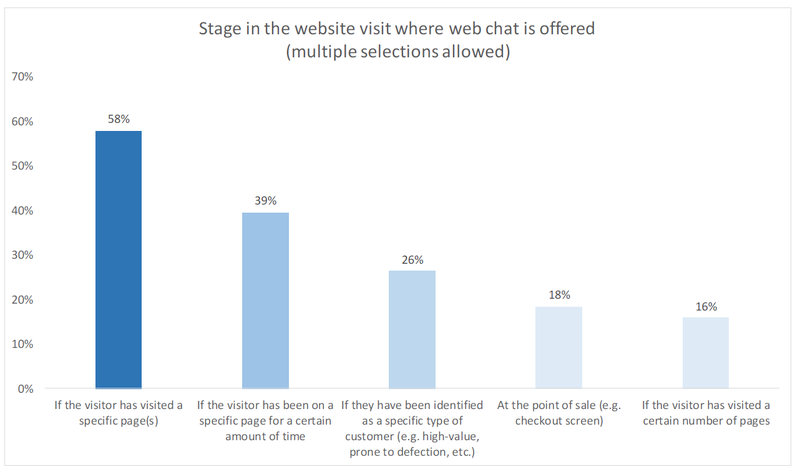 41% of respondents using web chat offer the option immediately to all website visitors, with 59% only doing so at some specifically-triggered point in the interaction. Of this 59 %, the most frequently used trigger for web chat was when a visitor went to a specific page, with other popular triggers being when a customer was on a page for a certain amount of time, or if they have been identified as a specific type of customer. 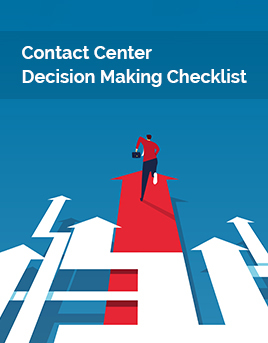 Respondents from small and medium contact centers tend to take phone agents out of the queue to handle web chats on an ad-hoc basis, or as part of a mixed voice/digital queue. 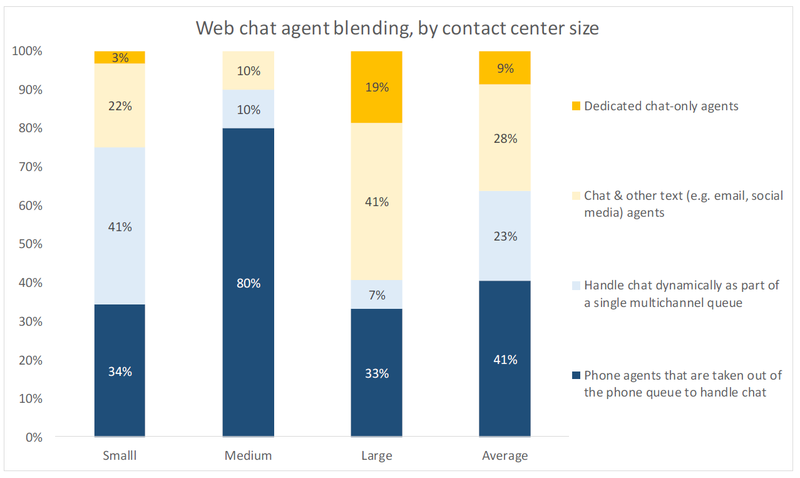 Respondents from large operations are more likely to use dedicated chat agents or multi-channel digital agents (e.g. handling social media or email too). 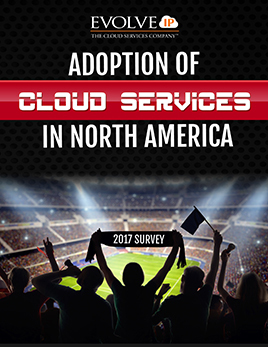 This year, small operations report much more likelihood of having a single dynamic queue which handles voice as well as text customer interactions. One of web chat’s traditional strengths is seen as the ability to have agents handle multiple chats concurrently (of course, it only seems this way to a customer, as the web chat agent uses the time that the customer is typing their response to handle other chats). Some solution providers have stated in the past that agents could run five or six concurrent chat sessions: the reality seems to be that two sessions are a reasonable consistent average, with a peak of three or four if required, but which is not possible on a long-term basis. 45% of respondents indicate that web chats are mainly carried out with existing customers, and 20% said they deal with mainly new prospects. The preponderance of web chats being with existing customers throws up some issues around customer identity verification over web chat, as a proportion of these are likely to require account-specific information to resolve the issue. While identity verification over web chat is certainly possible using the traditional challenge-response method (involving information theoretically known only to the customer), some are likely to be unenthusiastic about typing in personal data despite being happy to do so when using the phone. 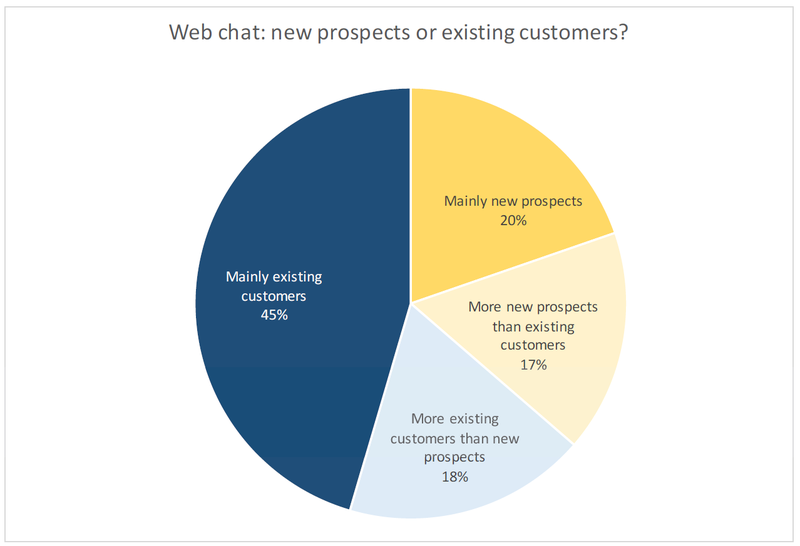 Web chat: new prospects or existing customers? The previous finding is supported by the nature of most text chat: 44% of respondents state that their web chats are mainly about service of existing products and services, with only 21% of respondents stating that they dealt with more sales queries than service requests. 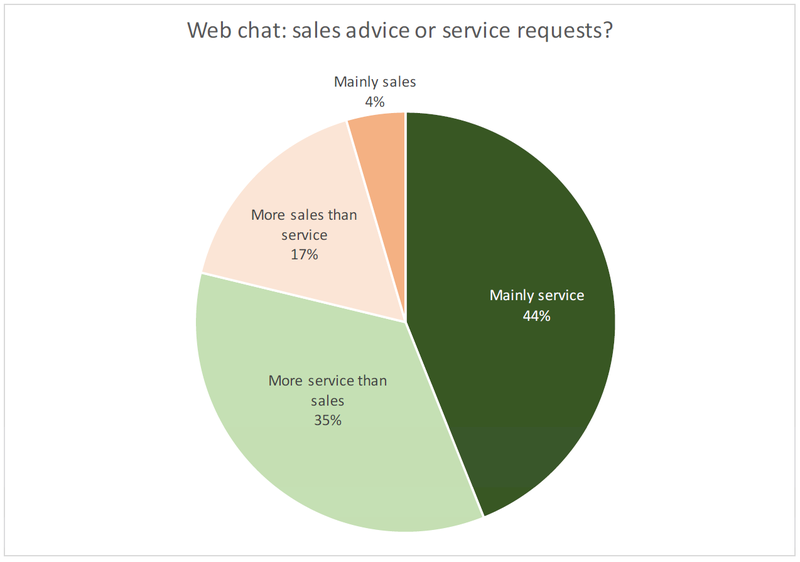 Web chat: sales advice or service requests? While web chat is seen in the report’s findings to offer the lowest cost of the live service options (voice, email, web chat), there is still considerable room for increase efficiencies and lower costs. 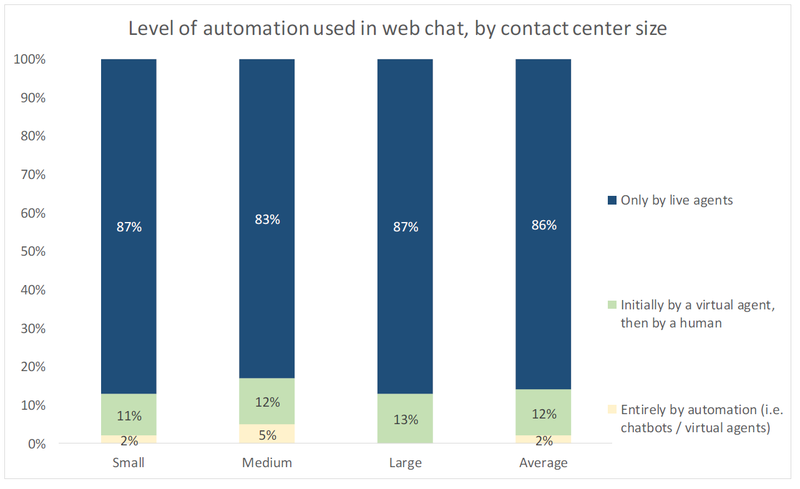 Only 14% of web chat involves any automation, and this is an area ripe for improvement. 17% of respondents have a wait time for web chat of lower than 10 seconds, with a further 42% stating that the average wait time is less than 30 seconds, which is around the average speed to answer for telephony. 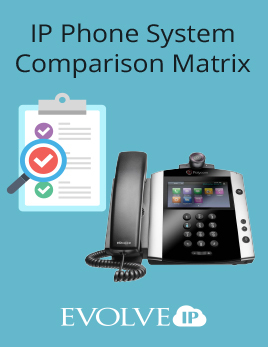 Little research has yet been carried out into the expectations of customers around web chat service levels, but it is reasonable to expect a channel being presented as an alternative to a phone to have similar service level expectations and reality. 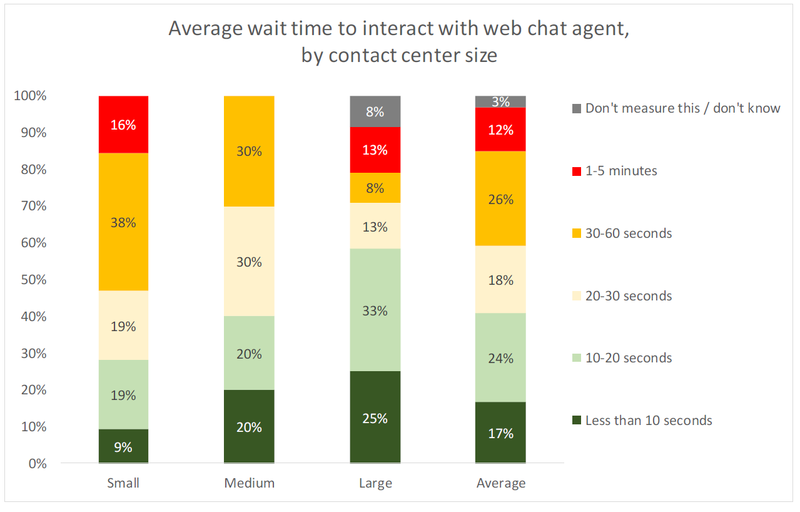 If only 12% of web chats take longer than 1 minute before the customer is ‘talking’ with an agent, then we can expect customers to flock to this channel enthusiastically, as these service levels are generally superior to that of voice, and this year’s reported jump in web chat volumes bears this out. Understand the role that you want web chat to have within the customer contact mix. Do you see it as a replacement for email? Or is it more of a call avoidance strategy? Or is it perhaps a way to close the sale? Without understanding this, it’ll be difficult to measure its success. Some businesses will offer web chat and cobrowsing only to their premium customers, or to those who are in the final stages of purchasing but who have stalled. Choose the most suitable metrics for what you’re trying to achieve. If web chat is about revenue, then perhaps focus on sales conversion rates, rather than average handle time, in order to encourage agents to make the most of cross-selling and up-selling opportunities. Some customers may use web chat as an initial method to ask tentatively about products and services. The solution should provide the option to continue the conversation via a phone, or send relevant documents and videos. Work with the solution provider to determine what a reasonable and realistic number of concurrent web chat sessions might be. While it is theoretically possible for an agent to cope with four or more conversations at once, the reality is that this is unsustainable over long periods or with complex issues. It is far more realistic to expect a well-trained agent to deal with perhaps two or three conversations concurrently, and this should be fed into your workforce planning system. However, it may be that agents who deal with both telephony and web chat find it too difficult to deal with multiple chat sessions as well, and will deal with only one chat at a time. As with any real-time interaction channel, monitoring traffic is vital to success. Plans need to be made to handle web chat spikes and providing estimated wait times to those in a web chat queue will allow them to choose a self-service, phone or email option instead. Plan how web chat will integrate with existing customer service channels. It is possible to run web chat as an entirely separate, siloed channel, but customers expect to be able to move between channels seamlessly. Being able to treat web chat interactions in the same way as other communication channels means that resources can be spread across channels as and when needed. Sophisticated web chat solutions allow for 3-way chat, so that an agent can bring subject experts into the conversation as required. Consider using a trial, in a discrete department, product or service area. 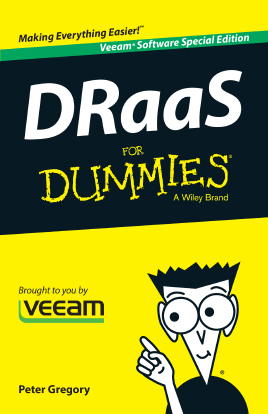 This will allow you to understand what works and what doesn’t, in a relatively low-risk environment. Changing a small number of variables will also provide a more accurate understanding of how web chat affects customer service levels, customer satisfaction and revenue. It will also provide information about the types of customer and queries that web chat is likely to be used by and for. Make customers aware that you’re offering web chat, by promoting it through existing, higher-cost channels such as within the telephone queue’s recorded announcement. While web chat is an increasingly popular channel to offer to customers, the current reality is that it is being used as a direct replacement for live telephone calls, with very limited use of automation or value-added features. Although customers are increasingly comfortable with initiating chat sessions, the visual nature of this channel and the increasing use of smartphones means that opportunities exist for businesses to leverage customers’ increasing acceptance of web-based communication to provide deep functionality, a richer customer experience and improve their own profitability. Co-browsing (or web collaboration), which sometimes includes form-filling and page-pushing as a subset of functionality, is a very intensive, one-to-one channel, often used for high-value customers or in those cases where it is quicker and more effective for an agent to take over the reins than to talk the customer through the process. While it has been useful for certain businesses, processes, and customers, it is difficult to make a case for it on a cost-saving basis alone, although it will encourage the completion rate of sales, and as such, improve profitability. Co-browsing may be used to help customers fill out forms, or to complete online transactions, and may be done in conjunction with a concurrent telephone call or web chat. Unlike page-pushing – which is a one-way movement of information from the agent to customer – and screen sharing – where the agent takes control of the customer’s desktop – co-browsing is a true two-way collaboration tool. Either the agent or the customer can control the cursor or enter data into fields, and business rules can be set up so that the agent does not see or enter sensitive information. 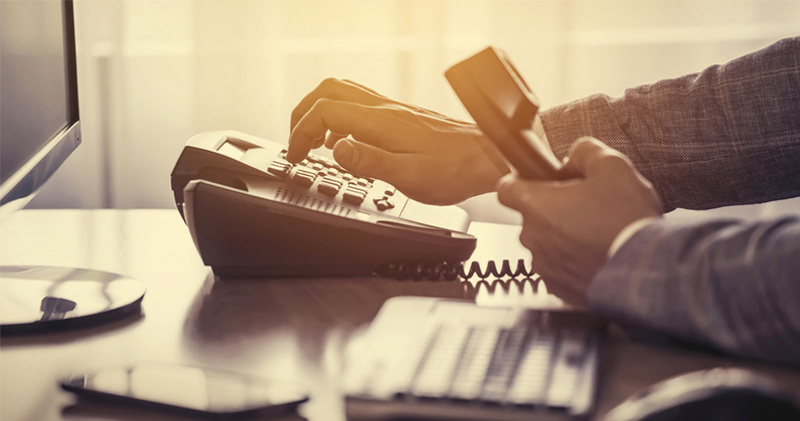 While it is not a cheap option, cobrowsing, particularly in association with a telephone call or web chat, can be an effective way of closing a high-value sale. 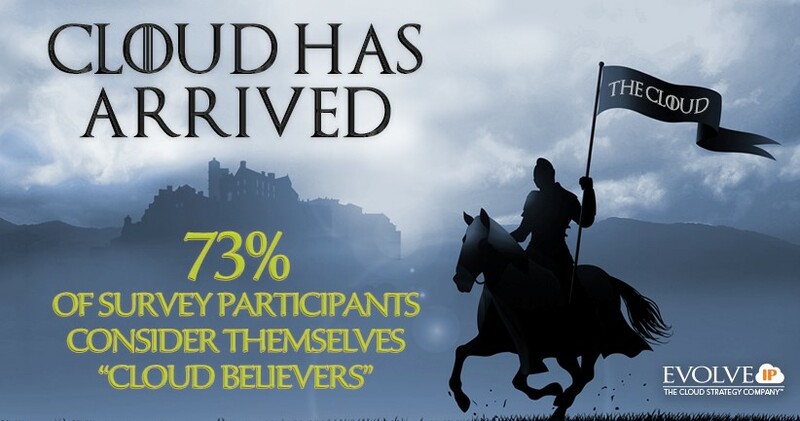 It is, however, currently used in few UK organizations. 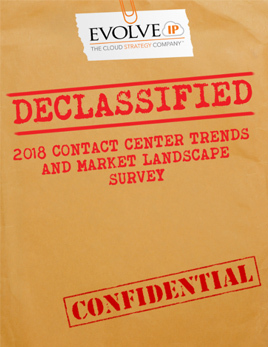 This survey report of over 1,000+ contact center professionals includes some interesting findings & trends around the omnichannel contact center market. While not a channel in itself, WebRTC (Web Real-Time Communications) is an API definition that supports browser-to-browser applications for voice calling, video chat, and P2P file sharing without the need of either internal or external plugins2. The announcement3 that Apple would support WebRTC within its WebKit engine that runs the Safari browser was a major step forward for next-generation customer support, enabling voice, video and collaborative communications directly from a website without the need for additional software. Google Chrome, Mozilla Firefox, and Microsoft Edge also support Web RTC. While the mainstream use of click-to-video has been a very long time coming, WebRTC offers the opportunity to businesses to engage customers face-to-face where appropriate, offering the browsing customer a route straight into the contact center without any breaking of channel or extra effort. WebRTC allows customers to start a video or voice call from the web browser (which may be via a desktop computer or smartphone, perhaps as an escalation from an existing web chat session), which means the organization’s website can then offer video or voice contact center functionality in a seamless manner, with customers able to request live communication with the business without the need to download specific software or seek out the phone number and break off from what they are doing on the website. Two-way video communication is likely to be of more interest to mobile users, as their smartphone device already comes enabled with a camera and microphone, unlike many desktop computers which may not have this functionality or whose users have it disabled. One-way video, to protect users’ privacy, is perhaps a more likely option in many instances, as is click-to-call. Video agents as a step towards more personalized, high-quality customer contact. The customer will be able to see to whom they are talking, through a multimedia PC or mobile device, assuming the broadband requirements are met. This application has potential, especially in a sales environment, and with technical support, where the agent shows the customer what they mean. Various businesses – usually banks – are already using video kiosks to offer virtual branch banking services in areas where physical branches have closed. Currently, customers are more likely to find that video is not being used to show a company’s agents in a live environment, but as part of a supported multimedia service experience, with the agent sending relevant recorded video clips either via chat or email. 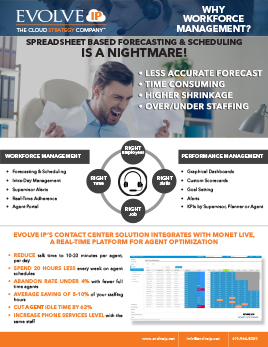 About Evolve IP’s Contact Center: Your contact center is the lifeblood of your enterprise, so anything that you can do to improve agent results and customer experience is a major win for your business. 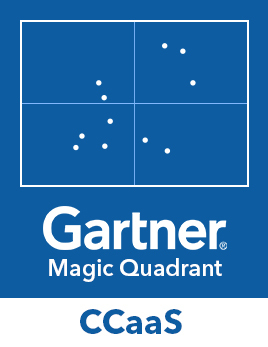 Evolve IP’s Gartner recognized omnichannel contact center provides all of the features you need to run a world-class omnichannel contact center.